This link will take you to the ‘Australian Curriculum: An Overview for Parents’. 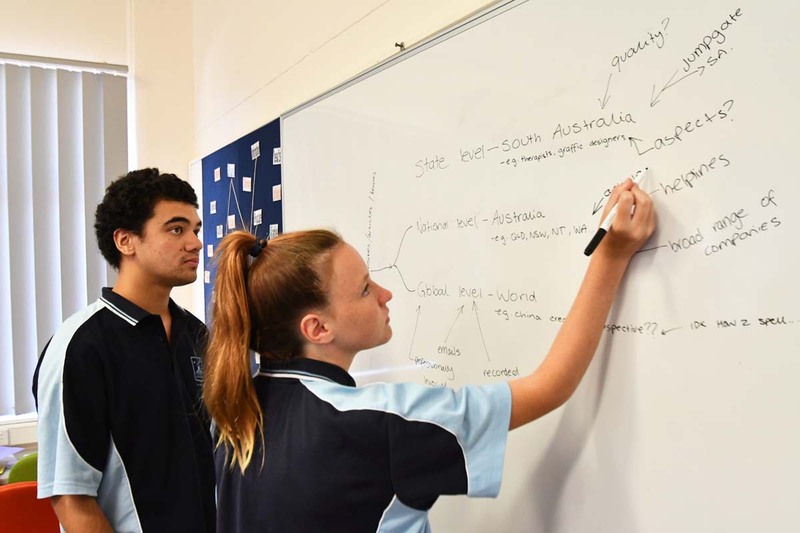 It will explain how the Australian Curriculum is organised, including information about the learning areas, general capabilities and cross-curriculum priorities. There is also information about how schools can use the Australian Curriculum to support students’ needs and interests, and links to further information. Stage 1, which usually begins in Year 10 with the Personal Learning Plan, and continues through Year 11. Each subject or course that is successfully completed earns ‘credits’ towards the SACE. Students receive a final grade from A to E for each Stage 1 subject and a final grade from A+ to E– for each Stage 2 subject. achieve a C– grade or better in the Stage 2 compulsory requirements. other Stage 2 subjects — at least 60 credits from a range of Stage 2 subjects. The remaining 90 credits can be gained through additional Stage 1 or Stage 2 subjects or Board-recognised courses of a student’s choice (such as vocational education and training (VET) or community learning). As part of their SACE, students can complete VET that is within the AQF (Australian Qualifications Framework). The SACE Board’s recognition arrangements enable students to build meaningful pathways in the SACE through VET. partly completed qualifications (for which a student has completed one or more units of competency). can be certified on a transcript, statement of attainment, or qualification issued by an RTO.